Are you excited for DIY Diwali Decoration Ideas? Diwali completely changes the scene of markets. It is full of colors, lights, decoration, and the varieties are awesome. You cannot be struck to choose few varieties. But before you think of the usual Diwali lights which everyone uses to decorate, just hold on. Why don’t you try something different and environment-friendly this year? Instead of buying a readymade, mostly Chinese made Diwali decoration item, perhaps we could interest you in a list of some unique and homemade Diwali decoration ideas? 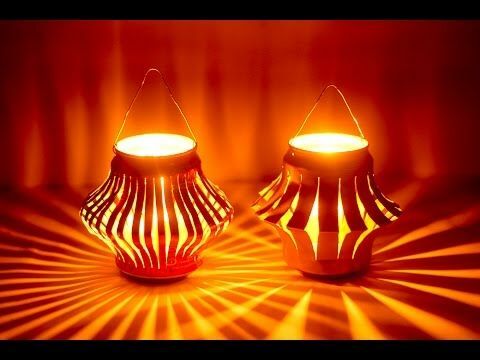 Of course, you would still want to use diyas, candles, kandils, and lights, but you can try new ways of lighting up your home instead of conventional Diwali Decoration Ideas. Very few houses have antique vessels in copper, silver or bronze but have no idea what to do with them outside. You can make small groups of them and place them on coffee tables or side tables which can be used as vases for flowers. 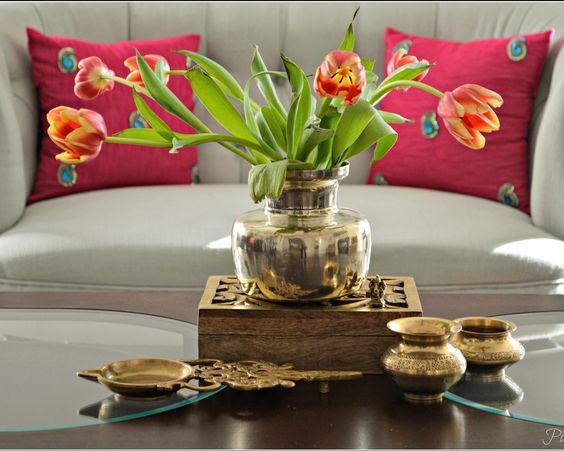 Beautiful flowers can be picked like orange, pink or red in color to increase the beauty and the color of the vessel. This is a quick decoration tip for houses having modern and colorful interiors. 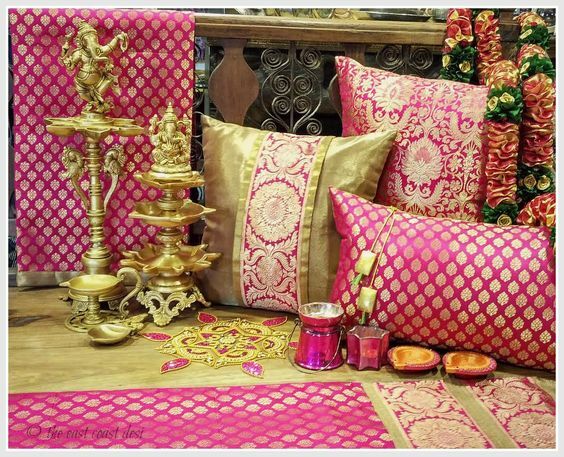 Change the cushion covers to something more ethnic & traditional. It’s difficult to change all the clothing items for a few days, so shiny colored and attractive patterned cushion covers bring a traditional look to the room. The empty 500ml plastic bottle that you wanted to sell or recycle can be used. The bottle can be cut in half, and make a flower out of the top of the bottle by cutting it in long strips. Use glitter on the strips to create petals and place a candle in the center to make a glowing flower. Look around your kitchen and you will find unused, empty glass bottles. Cover them with bright paper or use colors to create attractive designs and give each bottle a new look. 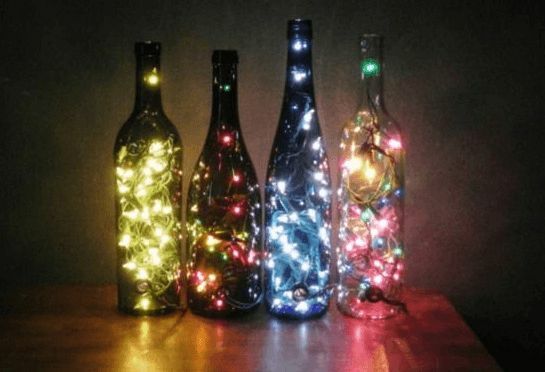 A candle or light strings can be placed inside the bottles to brighten your room. 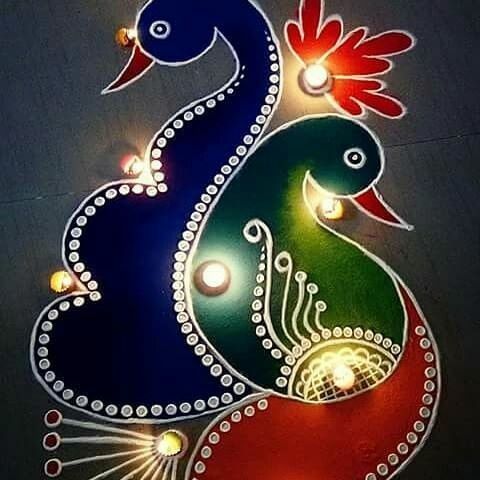 Rangoli design can become an attractive place for lighting. 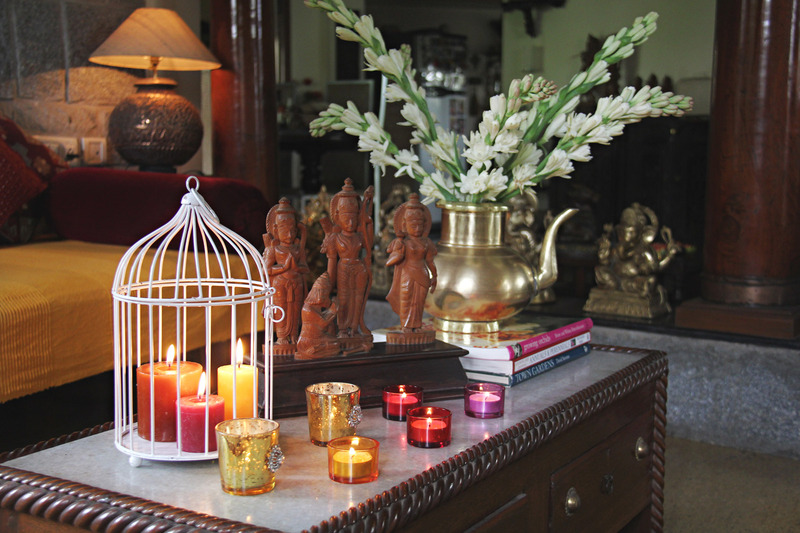 Add diyas and candles to your decorative pattern, and create the best corner that looks just awesome. No Diwali decoration is complete without making rangoli. You can use either rangoli colors or gulal which was left in holi. The design should be very beautiful and unique as you make it. Diyas, candles, flower petals, small lamps, and even earthen pots can be added to bring your rangoli to life. Rangolis made up of flowers showing Ganesh are creative as well as easy decoration trick. 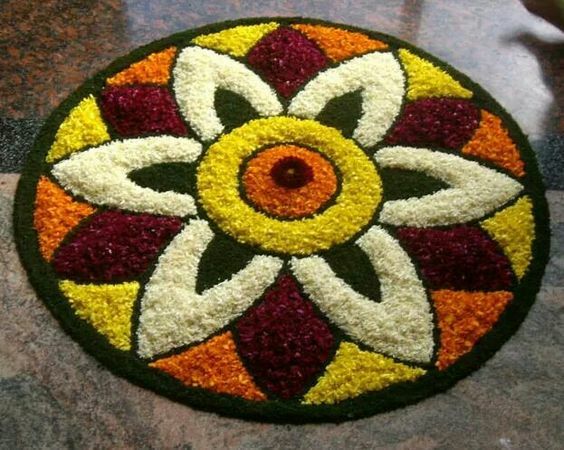 It reduces a lot of stress of creating complicated Rangoli designs outside your door. And also the presence of Lord Ganesh at the doorstep is also a nice to invite all guests. 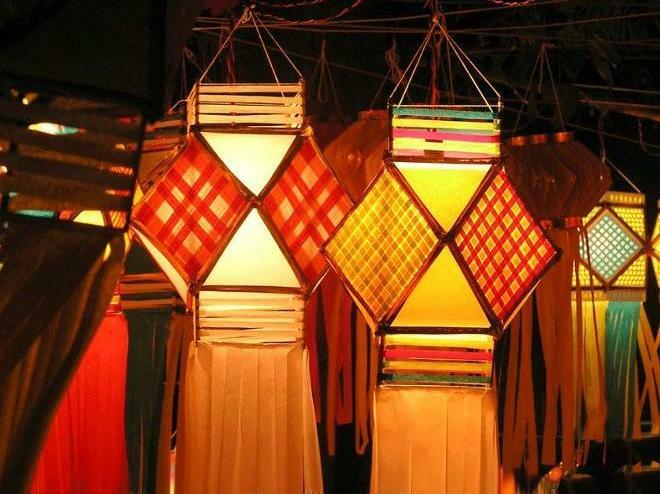 You can create lanterns from paper, cardboard boxes and also with packing material. Cut out interesting shapes and figures, color it, add glitter and hang it in a notable area to display your creativity. 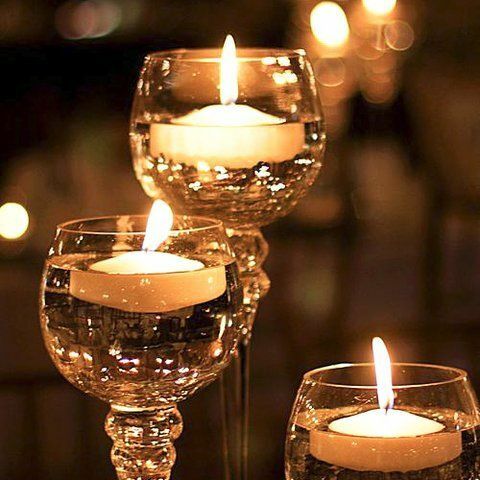 Instead of accompanying with readymade Candles, you can create your own DIY candles. 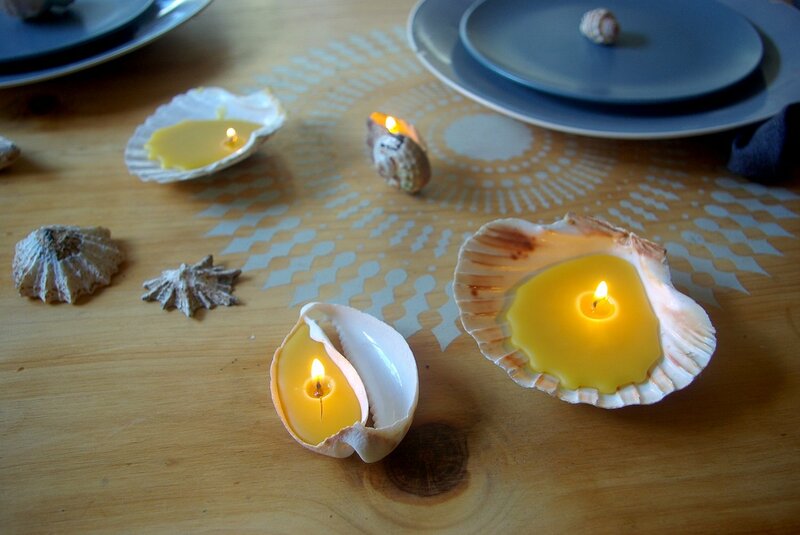 You can use flour dough, seashells, eggshells, and even orange peels, wine glasses to create DIY candles that looks different than the usual candle ideas. Just add molten wax, fix a wick and your candles are ready. 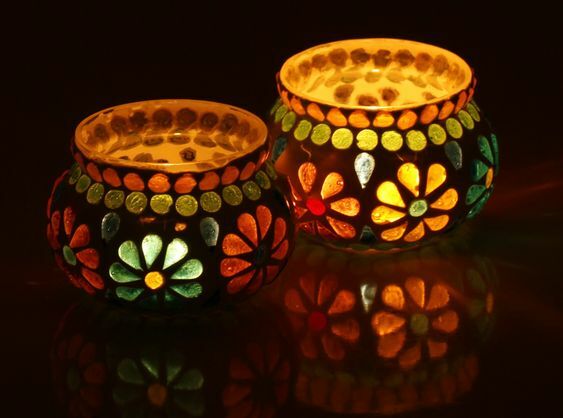 Readymade clay diyas can also be made to glow with a little glitter and paint. Choose colors that suit your decoration to the home will look as beautiful as you would like it to be. 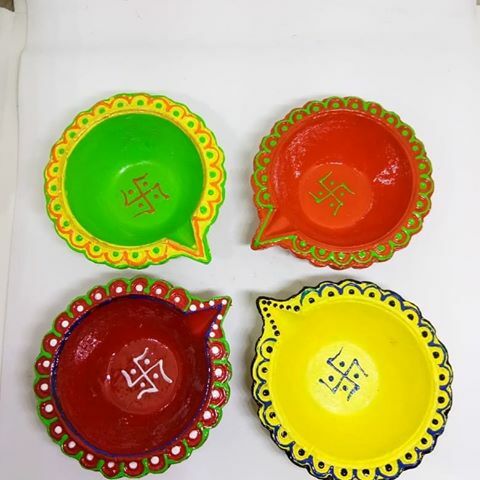 Clay Diyas are the best, if you are looking for DIY Diwali Decoration Ideas! 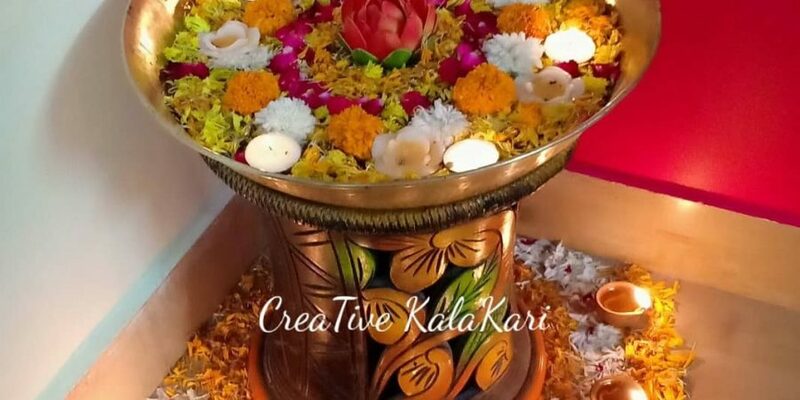 To bring in a traditional look to the house, you can swaddle your diyas with flowers or make them float in a large bowl of water, surrounded by flowers and petals. Adding a few drops of fragrance in the bowl will fill the room with a calming aroma. Hope you will incorporate these DIY Diwali Decoration ideas into your home to making your Diwali Beautiful & Colorful!